The Federal Office of Workers’ Compensation says there’s not enough evidence to establish what led to the fatal injury of the worker, a 28-year-veteran of the United States Postal Service. An East Bay widow whose husband died after he sustained a serious injury at work is fighting for tens of thousands of dollars in benefits she believes the government owes her. Twice Larnie Macasieb filed claims with the Department of Labor's Office of Workers' Compensation Programs after her husband Sam died. Twice the office denied her petitions, even though her husband suffered a major injury during his shift at an Oakland postal facility. Macasieb plans to file another appeal next year. Macasieb's attorneys say the United States Postal Service has the burden of proving her husband's injuries were not work-related. But the government ruled, because no one saw what happened, there is no way to know how Macasieb's husband sustained his injury. That conflict is at the heart of this case. Macasieb says her husband was injured at work. The government says there is not enough evidence to prove what happened. Records show postal service personnel blocked law enforcement from the facility, rendering them unable to conduct an investigation. 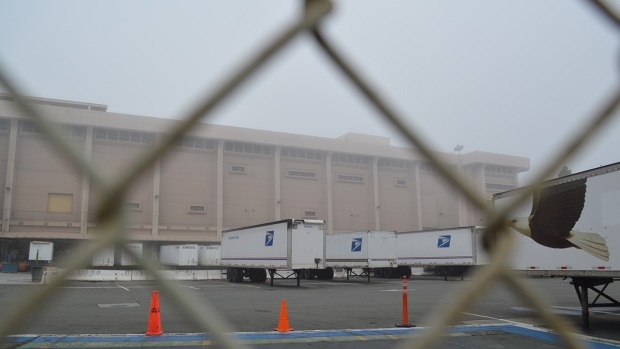 The United States Postal Service is revising its national 911 policy after the NBC Bay Area Investigative Unit exposed how an outdated emergency policy may have contributed to critical delays in a life and death situation. Vicky Nguyen reports in a story that aired on April 28, 2015. The dilemma has led to a bureaucratic battle for benefits, even though government data suggests more federal employee workers' compensation claims are approved than denied. "We have to survive on our own and it's been a struggle every day," said Macasieb, who has three children, including one still in college. "We miss him so much." 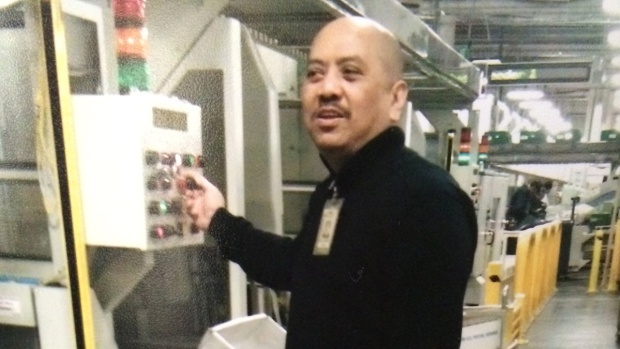 No one witnessed what happened, but in the early morning hours of Aug. 8, 2014, coworkers found Macasieb's husband lying on the ground next to a letter-sorting machine he operated inside the Postal Processing and Distribution Center in West Oakland. He was barely conscious and bleeding from his mouth and ears. The NBC Bay Area Investigative Unit uncovered a national postal service policy last fall that advised employees to call managers and security instead of 911. An ambulance was not called for at least 20 minutes. Macasieb's husband later died of his injury. Macasieb filed her first claim with the Division of Federal Employees' Compensation at the Office of Workers' Compensation in August 2014. A month later, the office denied the claim, citing a lack of evidence to show how her husband ended up on the floor. "The possibility remains that Mr. Macasieb was not feeling well and decided to lie down," the claims examiner wrote. The widow appealed, but in August 2015 the government again found no evidence to prove her husband's injury "arose from his work activity." Call 911 right away in an emergency. It’s what we have been taught and it’s what we teach our kids. But at the United States Postal Service, what to do in an emergency is not the same—and it may have caused critical delays in life and death situations. 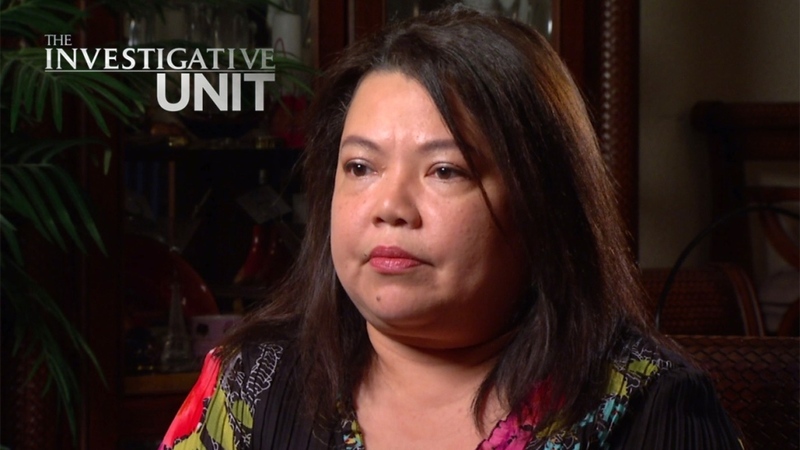 Investigative Reporter Vicky Nguyen reports in a story that aired on November 17, 2014. "We think the judge got it wrong," said Cory Birnberg, one of Macasieb's attorneys. Birnberg speculates Macasieb's husband was on top of his letter sorting machine clearing a paper jam when he fell a distance of eight feet onto the ground. He said the job involved climbing on top of machinery to fix jams. Macasieb's other attorney George Surmaitis pointed out that Macasieb's husband sustained a hinge fracture, which "could have only come from a significant fall." In a November 2014 report written by a coroner's investigator from the Alameda County Sheriff's Office, it's noted that a "fall" along with striking a portion of the machine and "landing on concrete" could have caused the hinge fracture. The government argues no one knows for sure what happened to Macasieb's husband, but the attorneys say the postal service is to blame for that. The coroner's investigator said the agency would not allow him to conduct his investigation, writing in his report that a postal facility manager "informed me he was unable to allow me into the work area and take photographs." Postal service employees told the Investigative Unit that custodians cleaned up the scene right away. Even the postal service admitted in an internal accident report that "there are no pictures until the next morning." The USPS declined an interview request but said allegations that the agency interfered with the investigation are "completely false." The postal service would not comment on Macasieb's workers' compensation denial. The Investigative Unit found that the postal service actually receives more cases and pays more medical, injury and death claims than any other federal agency. The agency paid out $10.9 billion in the past 10 years. That is $8.6 billion more than the next closest agency, the United States Navy, which paid out $2.3 billion. According to data from the same time period, the Division of Federal Employees' Compensation accepted nearly 87 percent of claims. Birnberg is baffled that Macasieb is not among the majority of cases approved by the office. "It seemed to me in some ways the judge was looking for a means to deny the case rather than considering the common sense factors of what happened," Birnberg said. "You find someone in the workplace on the floor, bleeding from their head. They work with machinery. They work at a height unjamming machines. We have a type of fracture that only comes from high impact." The Department of Labor's Office of Workers' Compensation Programs declined an interview request. The American Postal Workers union sent a letter to USPS questioning an emergency policy that prevents most postal service employees from dialing 911 in an emergency. Vicky Nguyen reports in a story that aired on November 25 2014. "Our goal is to ensure that federal workers who sustain workplace injury or illness, and their families, get the support and compensation they deserve, and to minimize improper payments," a department spokesperson wrote in a statement. "This is a vast undertaking, with considerable complexity, and every case is unique." Macasieb won the fight to change the 911 policy after her husband died, not expecting she'd have to face another battle over benefits. "The fight isn't over until we find justice," she said.